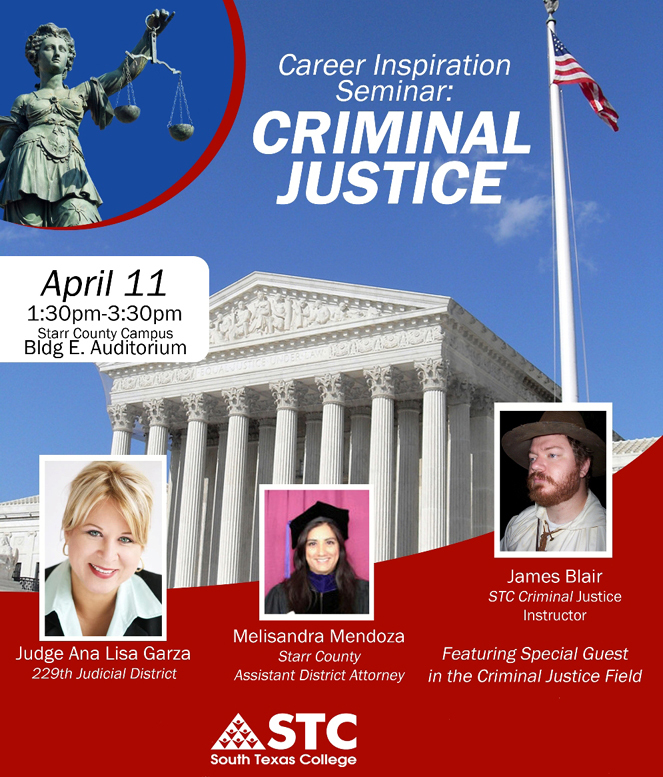 The roundtable discussion, which features three successful Starr County residents, takes place on Wednesday, April 11, 2012 from 1:30 to 3:30 p.m. at the college’s Starr County Campus Building E Auditorium located at 142 FM 3167 in Rio Grande City. Admission is free and open to the public. Participating in the roundtable are 229th Judicial District Judge Ana Lisa Garza, Starr County Assistant District Attorney Melisandra Mendoza and STC Criminal Justice Instructor James Blair. 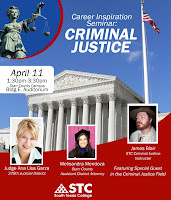 The three will discuss their career pathways and how life experiences motivated them to pursue higher education and work in different paths in the criminal justice field. For more information contact Joel Correa at jcorrea1us@yahool.com.